There’s comes a time when enough is enough. This happened to me at the end of last year. 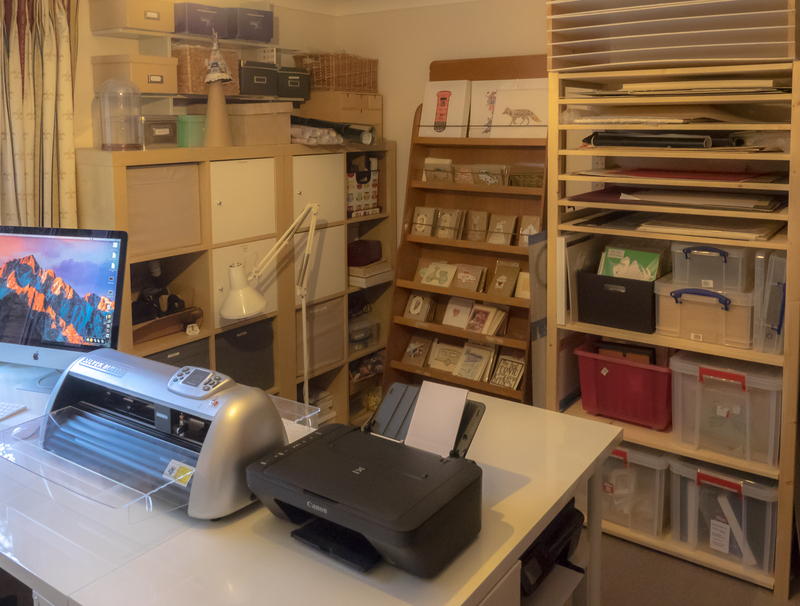 After a very busy few months leading up to Christmas, with many craft fairs, customer orders, online selling and keeping my outlets stocked up, my craft workspace/ office looked like a bomb had hit it. I had been aware for some time that the layout and storage was not working for me. I didn’t have enough surface space to work. My storage was all in the wrong place, there wasn’t anywhere to put the big crates I use to carry products to events, I was tripping over boxes, and nothing was put away. It was really getting me down. I made a plan. I listed what was wrong and what I needed to find storage for. Then I did extensive online research to find a solution. It turned out to be a much bigger revamp than I first expected. Pretty much the whole room was stripped out and replaced with some shiny new furniture from IKEA. Wow, what a difference having a purpose designed space is making. 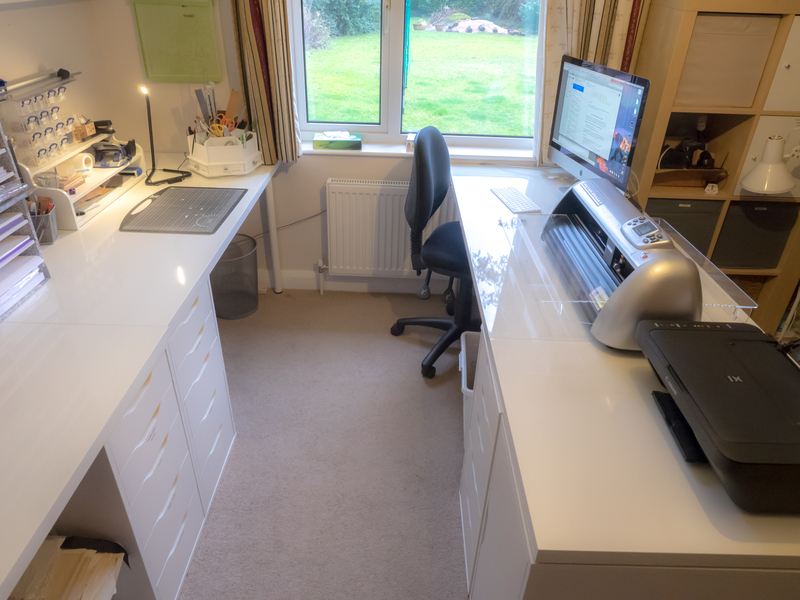 I really enjoy being in my new ‘Studio’, whereas before I felt unmotivated and fed up, its now light and bright and having somewhere to put everything means I actually put it away. I am looking forward to being far more productive and creative in 2017! 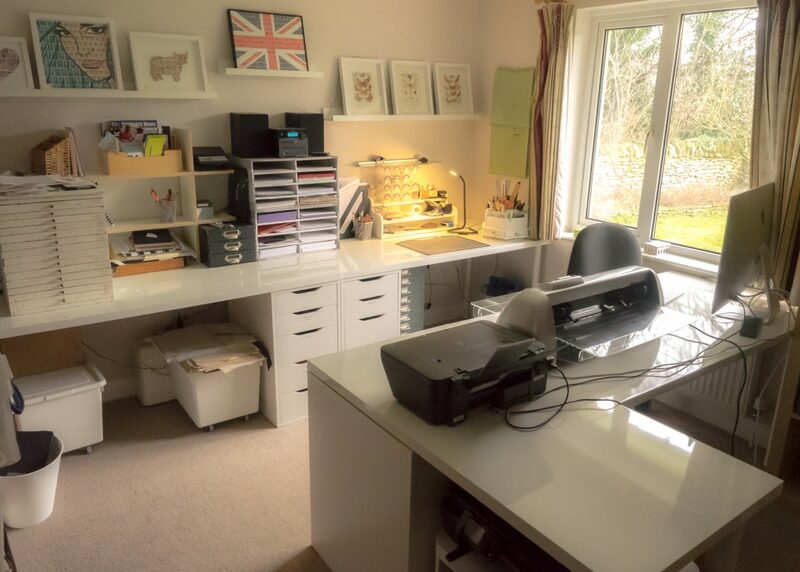 This entry was posted in Lane End Vintage and tagged Craft Room, Office, Studio, Working space.